Do you actively AVOID smiling or speaking in public to keep people from noticing your missing or damaged teeth? NOW, you can have the perfect smile you’ve always dreamed of — without resorting to dentures or partial plates. Advancements in dental science have led to the greatest smile breakthrough in history! Whether you need to replace or upgrade one tooth, multiple teeth, or all of your teeth, this cutting-edge treatment is allowing specially-trained dentists to create brilliant, permanent smile makeovers for people just like you. Are you living with broken, discolored or decayed that need to be replaced? Have you avoided taking care of your missing or damaged teeth due to fear of treatment? Does the simple act of chewing food or smiling cause you any discomfort? If you answered “YES” to any of these questions, we have the dental implant solution for you. Introducing our office’s most ADVANCED, CUSTOMdental implant procedure. Feel good showing up for social obligations, such as networking opportunities, family functions, social gatherings, business opportunities and more. You can flash your confident smile and make more sales, more friends and live life the way you want! Dental implants are low maintenance care as compared to messy and cumbersome dentures. Having no teeth or rotting teeth can also cause bacteria and oral cancer, which leads to heart disease. Many people do not realize the value of having nice teeth, which transcends into many other areas of your body’s overall well being. Dental implants not only replace decayed teeth, they get down to the root and can emulate the function of your original set. Not only will eating be more enjoyable, but your mouth will feel authentic again! Getting PROFESSIONAL dental implants can be one of the BEST decisions you’ll ever make! Many people think that dental implants are unattainable, unaffordable, or too painful to have installed. Others simply do not know anything about dental implants, and have never considered them as a way to improve their appearance. You may have heard of them before, but maybe you don’t know enough about dental implants to make a sound decision. To put it simply, an implant is an artificial tooth root that a professional DDS can place directly into your jaw to replace a rotting, chipping or decaying tooth. An endosteal implant is commonly inserted directly into the bone. It can hold one or several prosthetic teeth and looks very close to your original tooth in appearance. A subperiosteal implant is a frame which is placed directly on the jawbone. Once the frame becomes fixed, artificial teeth will be mounted onto the posts that extend from the frame. 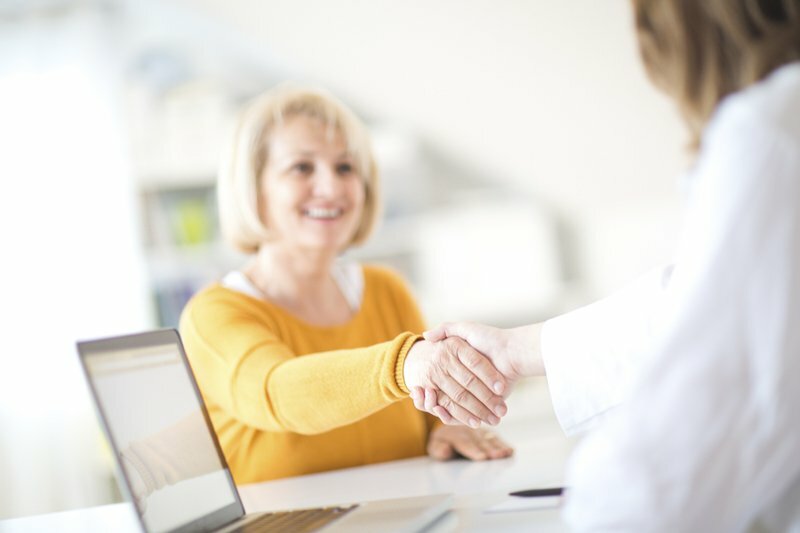 Our office can help you determine which type of dental implant is best for YOUR situation. They can be an ideal solution to replace either one tooth, several teeth or your entire mouth! Feel confident smiling in photographs with your family! 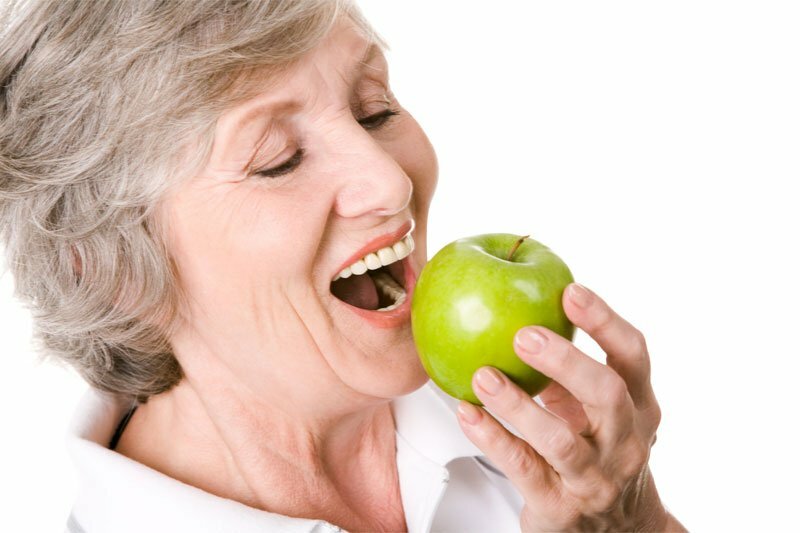 Chew and enjoy a wider variety of foods that you once avoided! Totally eliminate the pain and frustration of your teeth! Many of our patients do not realize how many benefits come along with having a beautiful smile, until after they receive the dental implants. Carol’s natural teeth were failing. 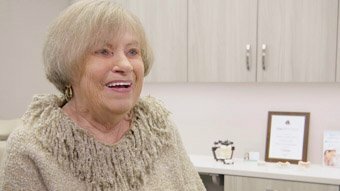 Dr. Robert Harrell performed a double All-on-4 procedure (replacing the upper and lower teeth) to permanently restore her appearance and function. 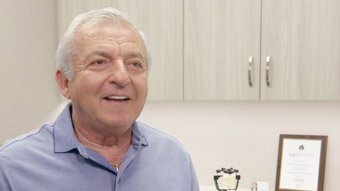 After John learned that his old silver fillings were leaking and his teeth had new decay, he decided to permanently restore his smile with dental implants. Bone grafting ensured that his implants were placed safely and securely.